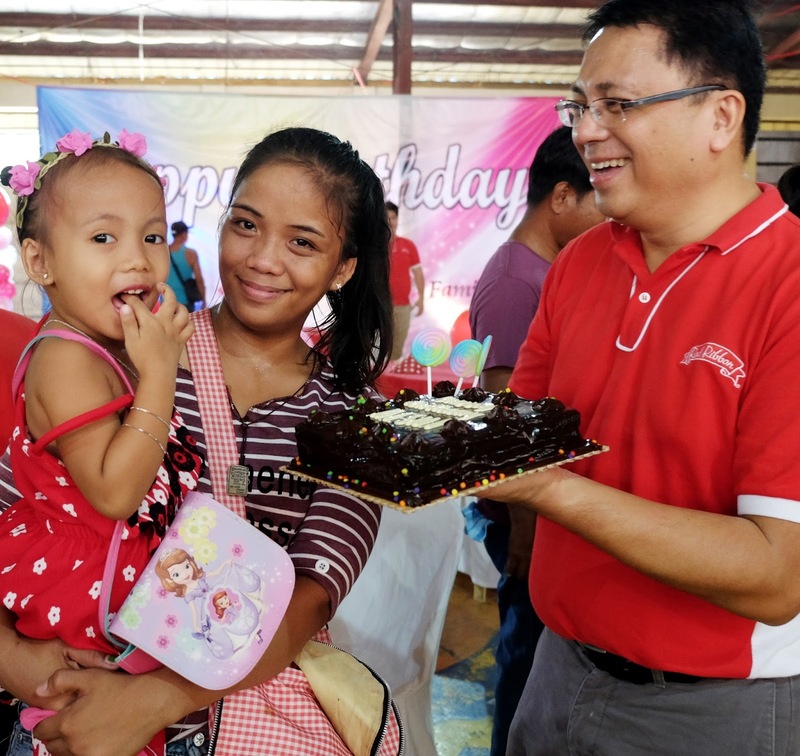 Coinciding with the special day of the Minor Basilica of Our Lady of the Most Holy Rosary of Manaoag, the ‘Share a Rainbow Surprise’ was led by the Red Ribbon store team to add sweetness to the birthdays of the kids from Manaoag. The bakeshop identified those who will receive the Rainbow Dedication Cake treat, with the help of the Department of Social Welfare and Development local office and the Manaoag Church Basic Ecclesial Community. The kids had excitement spelled on their faces as they raced to the venue and received hugs from their parents. It was the youngster’s parents, however, that was moved by the special occasion. “Hangga’t maari po sana, maibigay ko rin po iyong hindi ko naranasan sa kanya. Pangarap ko pong birthday party kay Alesha Anne iyong magkaroon po siya ng cake. Magiging masaya po ako kung matutupad itong dream birthday niya po. (It is my dream for Alesha Anne to have a cake. I would be extremely happy if we can grant this wish)” shared Eliza Corpuz. Everyone gathered as parents and representatives from Red Ribbon sliced the chocolate cakes and went around with plates in hand. It was yet another surprise as the party attendees saw the colorful layers of chiffon underneath the chocolate coating and the rainbow-toned lollipops that topped the Rainbow Dedication Cake. The double celebration continued with party games and dances and the birthday celebrators simultaneously blowing out their candles. 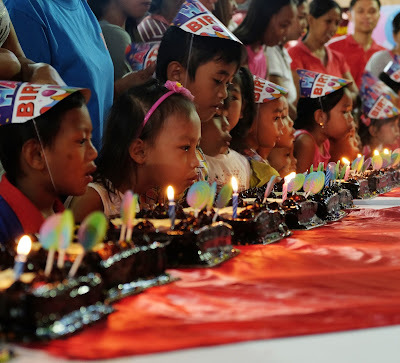 It was a sight to behold as the little ones, who came lighthearted to the Minor Basilica of Our Lady of the Most Holy Rosary of Manaoag, went home with wider smiles and a little more sweetness on their special day. 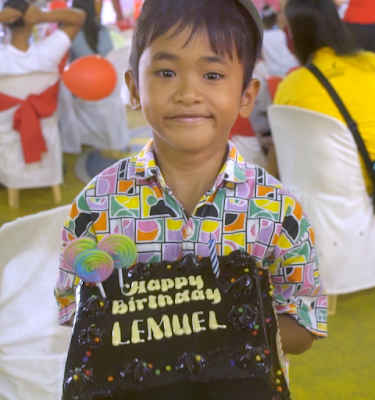 Watch as the surprise unfolds for the kids of Manaoag and join the millions of viewers who have seen the many exciting shades of celebration from Red Ribbon. Visit https://www.facebook.com/redribbonbakeshop/videos/1562188953824679/ to share in this most special occasion.